Madison, Wisconsin (6 February 2017) – When Colin Thompson was deciding what team to race for, it wasn’t a phone call from the team owner that helped him make his decision. Instead, it was the countless calls from drivers who had previously raced for the team that got Thompson thinking about signing with Kelly–Moss Road and Race. And two years later, he was adding a second championship trophy to his mantle on his way to being picked up as a factory shoe. 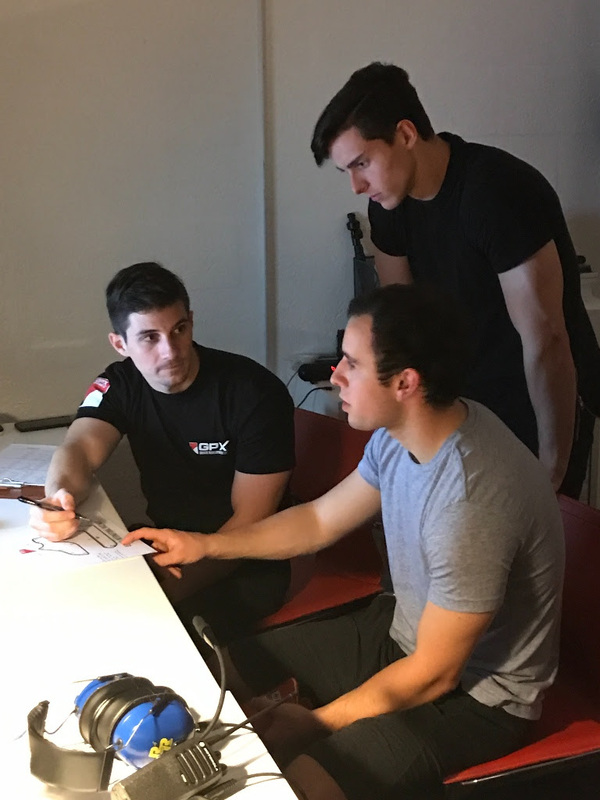 The team, which won its very first race (IMSA Firehawk event at Sebring International Raceway in 1989) is based in Madison, Wisconsin and has established a reputation for not only developing race cars, but also the drivers that pilot them. 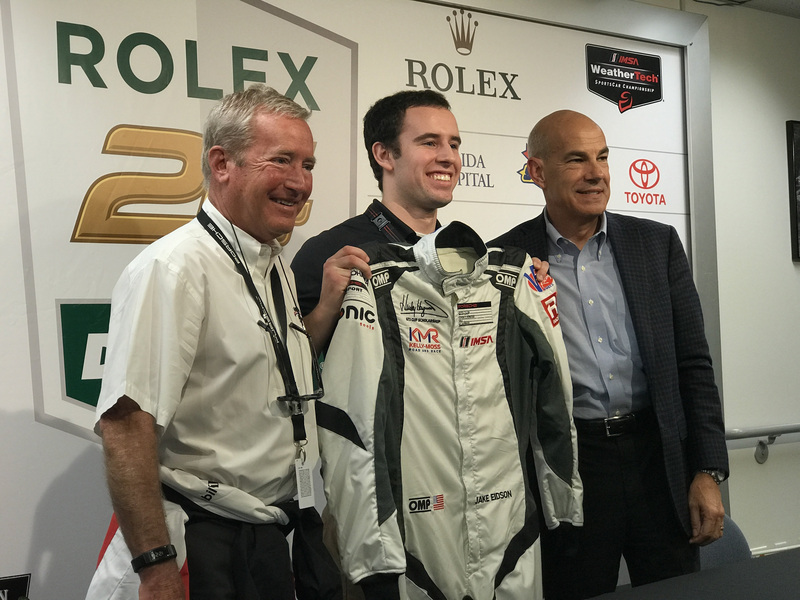 Last weekend at Daytona International Speedway, another Kelly–Moss Road and Race graduate added a career accolade to his resume as Jesse Lazare won the Rolex 24 At Daytona in his first-ever run in the huge IMSA endurance classic. The win capped an incredible run of success for Lazare, who won the 2016 IMSA Porsche GT3 Cup Challenge USA by Yokohama with Kelly–Moss Road and Race and positioned himself as a top pick for the 24-hour race on board a potent Porsche GT3R machine. 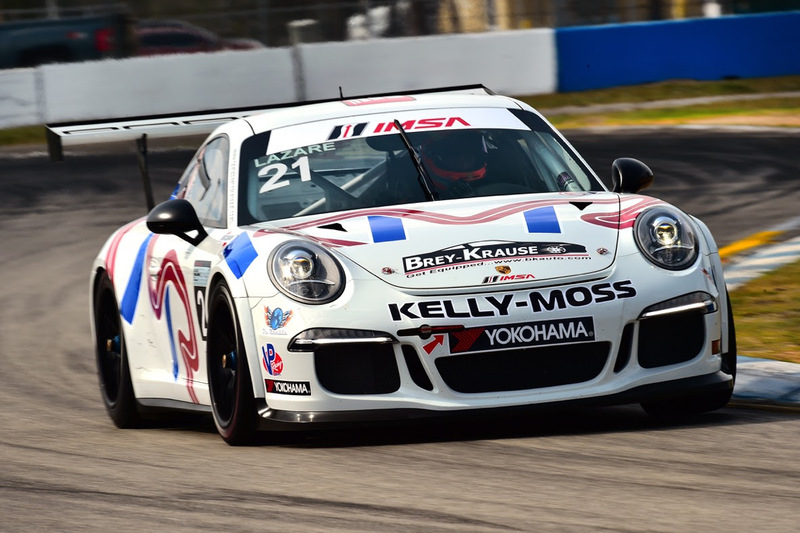 Steered by Jeff Stone, Kelly–Moss Road and Race has stayed true to its Porsche roots through the decades – having competed in every single GT3 Cup Challenge USA event since the series first formed in 2005. 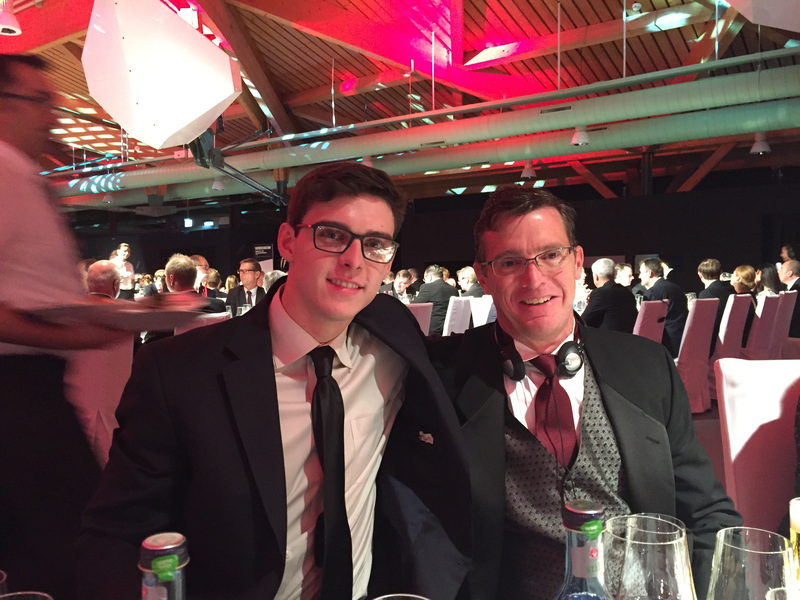 Beyond well-prepared and engineered Porsche machines, Stone has also established a reputation for his fierce support of and guidance for his drivers under the Kelly–Moss tent. For Stone, he has a very clear curriculum for his young charges when it comes to installing a professional approach to the sport. 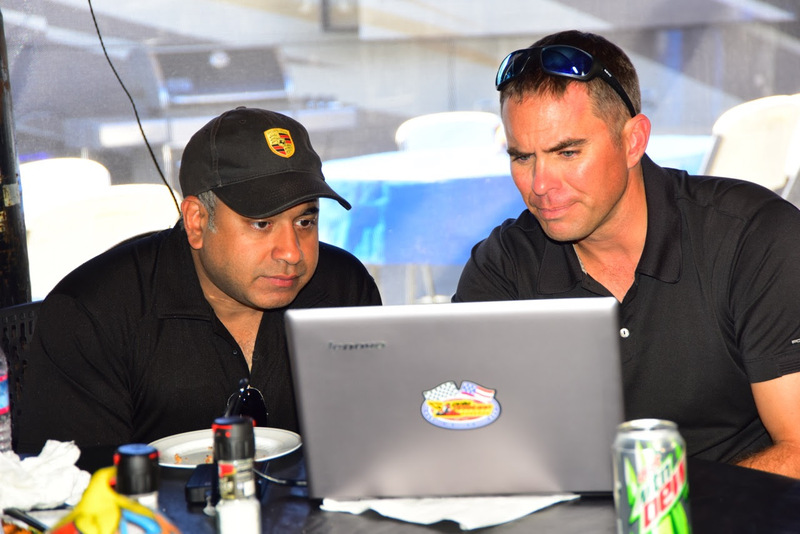 The driver roster at Kelly–Moss has traditionally featured drivers with different ages, different goals, and different backgrounds. That mix of talent, fostered by Stone’s design, is one that helps to pay dividends for all involved. 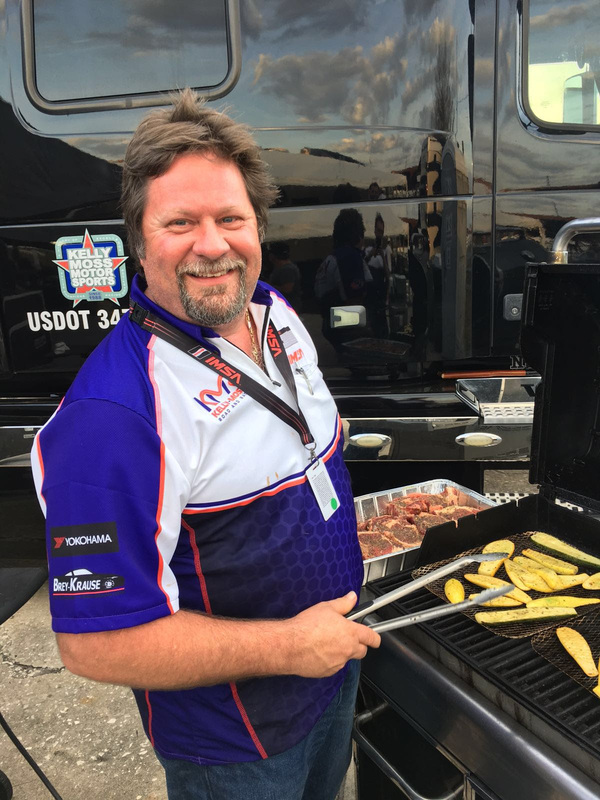 One driver who has proudly worn the Kelly–Moss suit for years is Bill Peluchiwski, who met Stone during a PCA driver event and eventually grew his pursuit of driving into becoming a racer. While Peluchiski has different goals each weekend than Lazare, he still feels as though having young chargers on the team is helpful. That forward progress doesn’t always just happen behind the wheel, and with the mix of ages, the learning can go in both directions. That progression, both in and out of the car, is one that drives Stone forward. 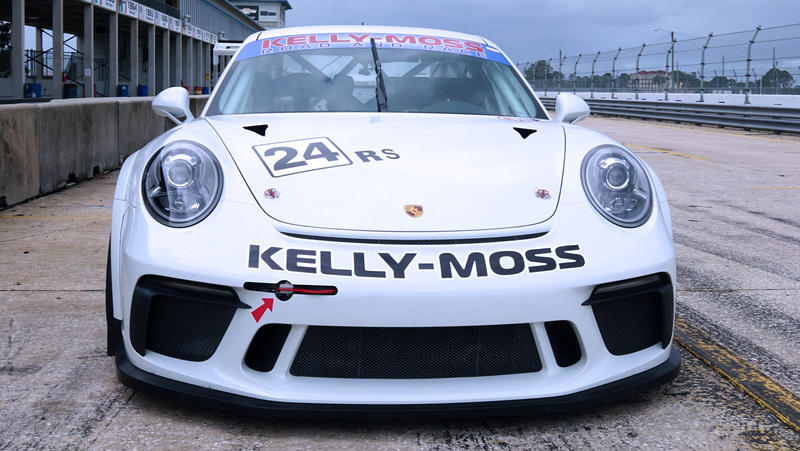 One of the investments that Kelly–Moss Road and Race makes in their drivers is in driver coaches, with fabled GT pilots Jeroen Bleekemolen and Andrew Davis regularly offering data analysis and feedback for the Kelly–Moss drivers. Another key factor for any team is engineering. And for Kelly–Moss, that is not only an area of excellence, it is also part of the family feeling that the drivers enjoy. 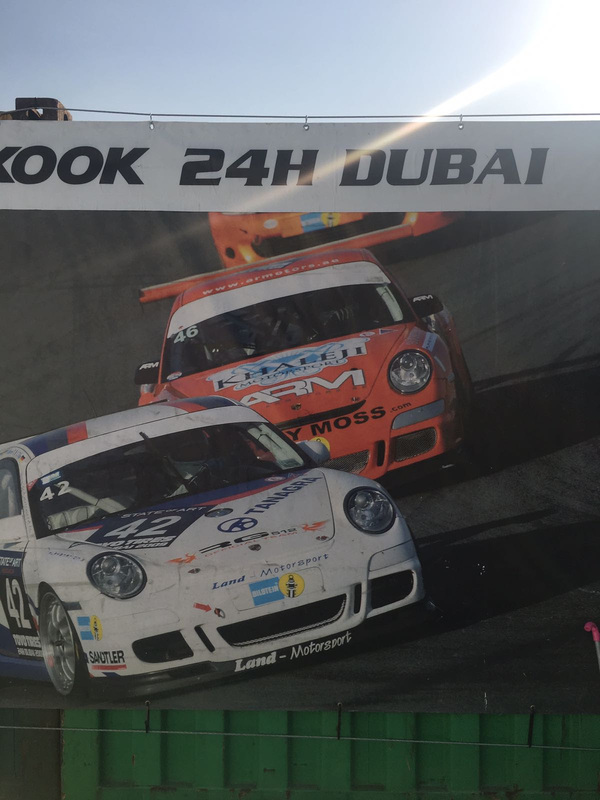 While young drivers are always looking to race their way up to the next level of the sport, there are also a lot of Kelly–Moss Road and Race drivers that are purely focused on getting faster, and having fun. 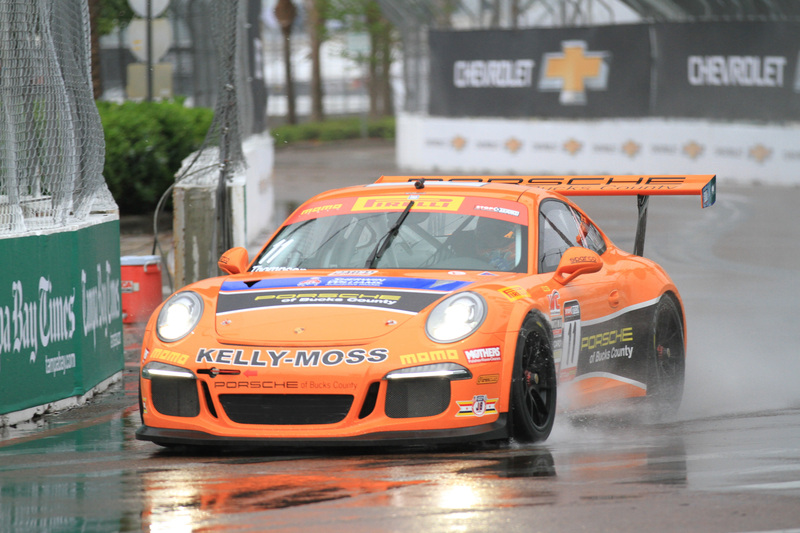 Thompson won the 2014 IMSA GT3 Cup Challenge USA by Yokohama championship and then moved up with Kelly–Moss to take the 2015 GT Cup Championship in Pirelli World Challenge competition. For Thompson, the move was a big one as he’d only raced for his family-run squad before. 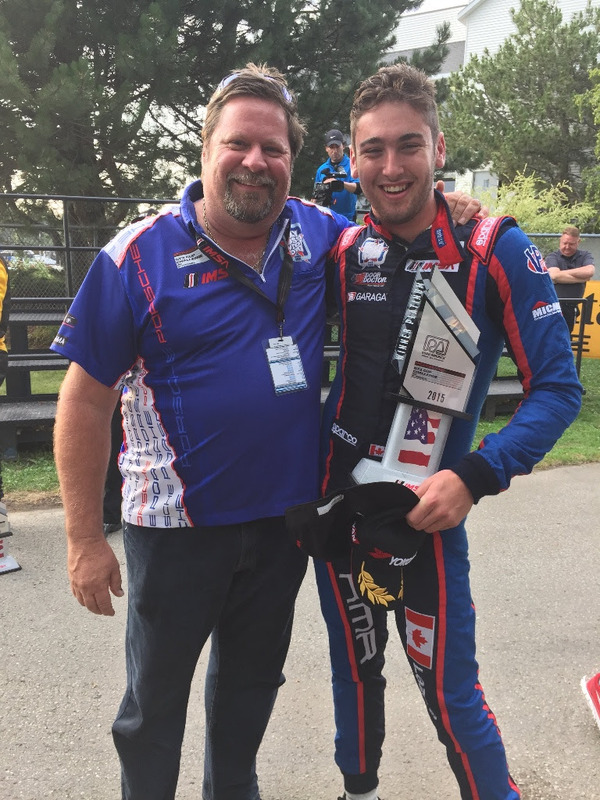 On hand for the big run to victory at Daytona was other supportive figure in Jesse Lazare’s career–his father, Gordie. But he was not there alone. 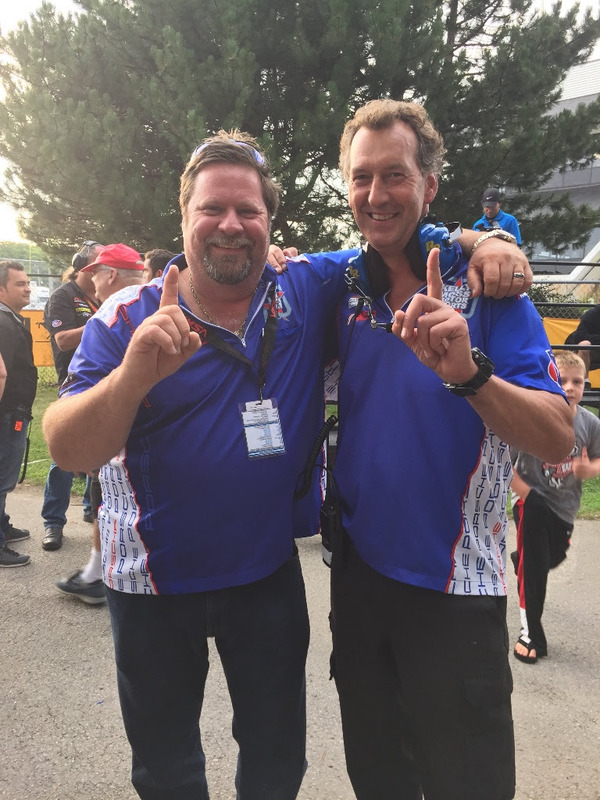 The relationship between Stone and the Lazare family developed over the course of a few racing seasons. 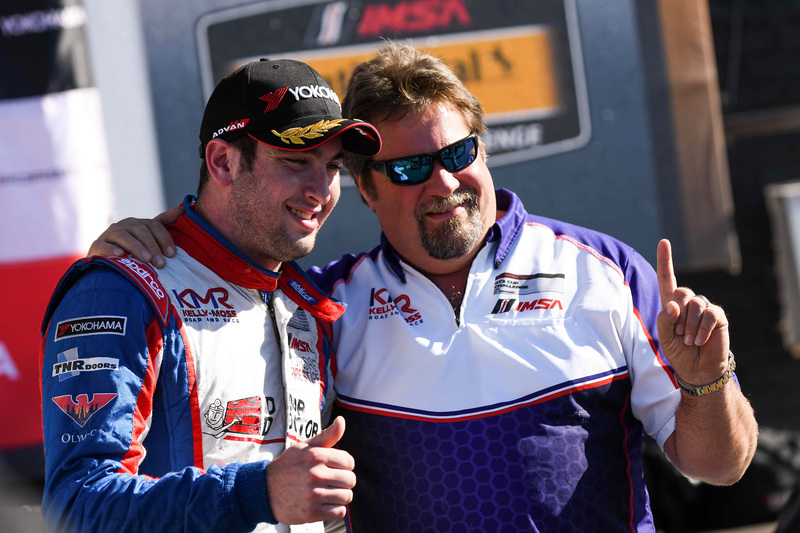 With Thompson having grown and progressed in his two championship years with Kelly–Moss, and Lazare parlaying his GT3 Championship into the big prize at Daytona, the stage is set for another young talent that is joining the team in Jake Eidson, 2017 Hurley Haywood Scholarship winner. 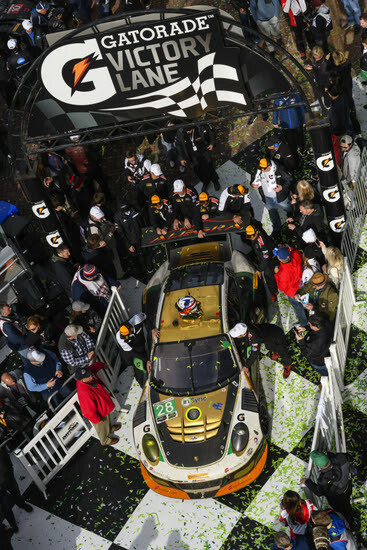 That chance for a championship would likely not have even got to the track if it weren’t for Stone’s enthusiastic push for Eidson to move to GT racing and earn the support of the Haywood Scholarship. With the record of success that Stone and Kelly–Moss have established, the team is well placed to continue that tradition again in 2017. The first race of the season will be at Sebring International Speedway—where it all began in 1989.